Since digital television hit Australia a few years ago, the influx of new channels an increase in airtime has not only surprised audiences but broadcasters as well. Channel 10’s digital offering, with the bland and unhelpful title ONE (since I’ve never seen it linked to an actual channel 1 on any digital TV) showed early promise as a sports broadcaster but switched to mostly reality offerings. One of the better shows they picked up from cable TV was Hardliners, which featured tuna longline boat captains plying their trade. It was an attempt to show the ‘battle’ between captains for bragging rights but did more in showing how tough it becomes to just break even when chasing endangered or critically endangered species (for those targeting Southern Bluefin Tuna at least). Conservation issues aside, it did feature some colourful characters, as you’d expect on any commercial fishing boat not captained by George Clooney. 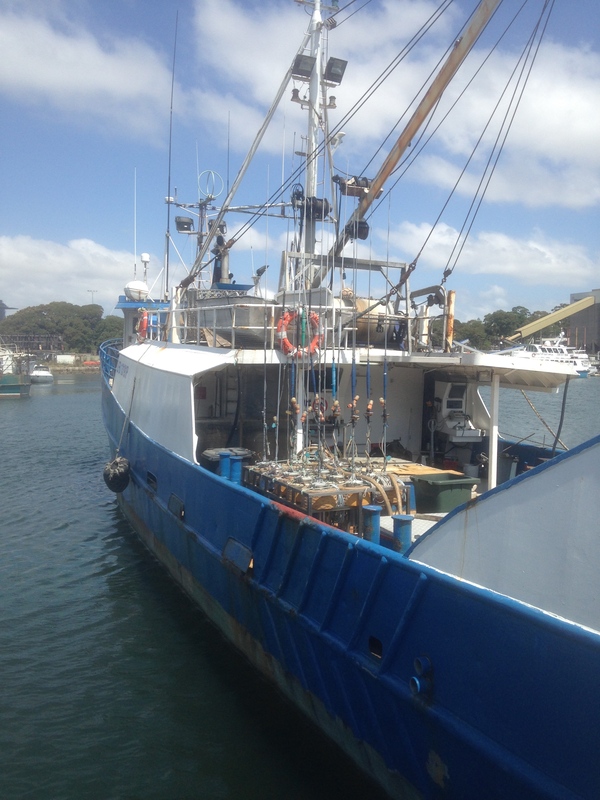 While checking out Sydney Fish Market this week (another shadow of its former self), I spotted a tuna longliner docked close to the market. A nearby tackle shop owner told me the ship, Santo Rocco Di Bagnara, was captained by Tony Lagana in the Hardliners series but had now been out of the water (not literally) for about 12 months. 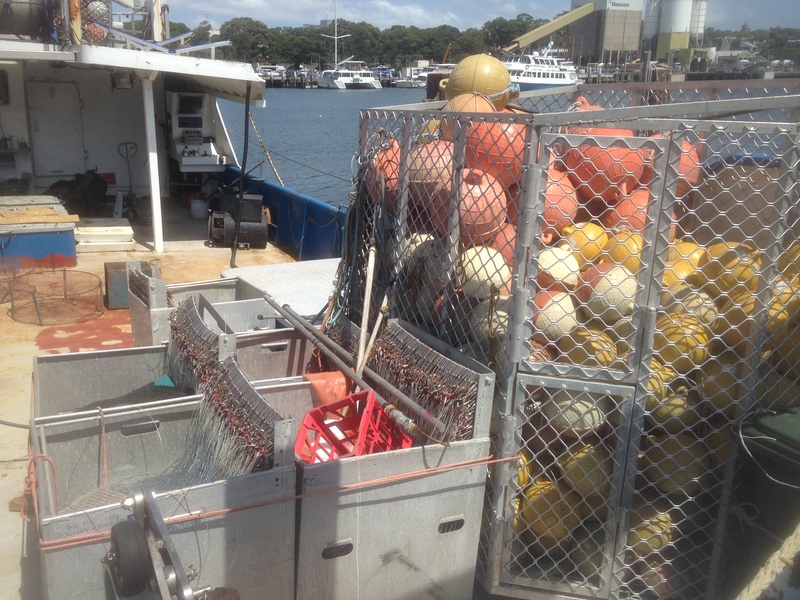 Whether it was commercial licence or storage capacity issues was unclear – the shop owner said the boat had been also used for crabbing and had discovered some new territory with abundant edible crab species but had, in his perspective, been unfairly targeted by NSW Fisheries and forced out of the game. Many conservationists would be cheering at the loss of a tuna longline boat but the news made me (not so secretly) wish I could spend a day on board one of these boats – to see firsthand the fish they are catching, the amount and type of bycatch picked up and the sort of people who work commercial boats these days. My guess is they are less George Clooney/Mark Wahlberg types and more like the Hardliner boys, many of whom actually care about sustainable fishing as well as trying to make a buck. Three years is too long between Great Barrier Reef dives! Donachy – some great Atlantic seafood recipes!